Many eCommerce platforms develop B2B websites with all required in built functionalities. Business 2 Business websites created on these platforms have good rankings in search engines as these platforms are enriched with relevant SEO strategies. 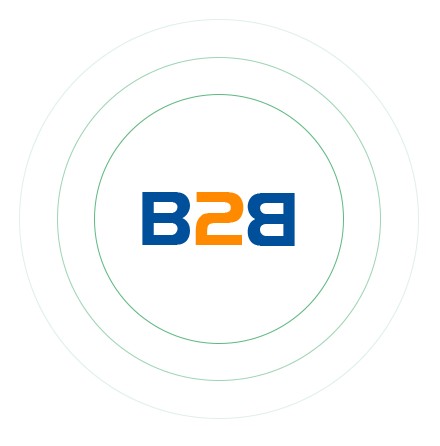 To get a B2B website built, it’s preferable to consult with any B2B website development company such as Evince Development. Website developers at Evince have years of experience in B2B Ecommerce Web Development. Our team of designers, developers, project managers can cater your needs in a very efficient way thus providing you what you need. B2B websites designed by our team play a vital role in achieving your goals by providing better lead generations that will be forwarded to your sales team. As the name suggests B2B websites are used for the transactions between businesses to business. It is the exchange of Service or Products between businesses rather than business and consumers. Generally, B2B websites perform mass transactions which mean higher volume of transactions than the B2C websites. With features like order accomplishment systems, payment security, Inventory Management system etc. any B2B website can be a perfect website to generate business as these elements help to run business smoothly. Generally, B2B websites receive orders in bulk so there must be strong Order Management System integrated with the website. At Evince, B2B website design services are rendered till the customer is fully satisfied followed by necessary customer support as and when needed. We also offer prompt customer service and make use of the latest methodologies in designing your website. We understand that the website services as the mirror of your business and hence, offer you one that not only looks great but is loaded with all the latest functionalities. Proper keyword strategy for good SEO, web analytics etc.